Hot on the heels of Best Buy's daily deal, Amazon wireless has dropped the prices of all its GSIII models to match - with one exception. 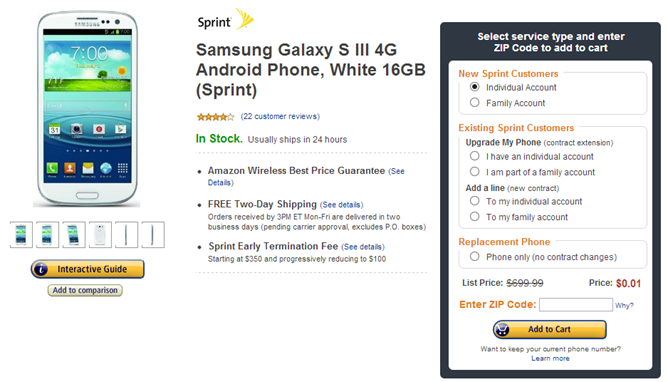 Instead of knocking Spring's GSIII down to $50/$99 for the 16/32GB respectively, it's now $0.01/$50 for new customers. 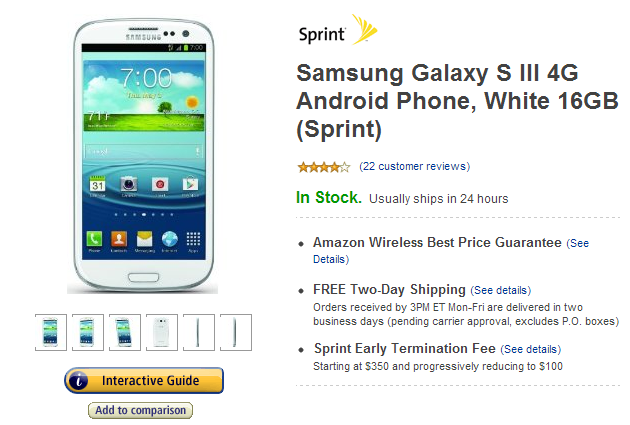 That's basically a free GSIII! It's hard to say if this is a permanent change or just something temporary in order to compete with Best Buy, but one thing is certain: this is the best deal we've seen yet on any version of the GSIII. Hit the link below to grab it.